TOKYO/ST LOUIS (Reuters) - Mt. 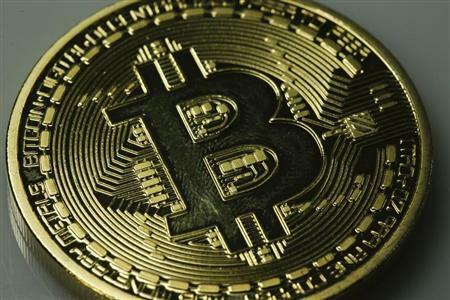 Gox, once the world's biggest bitcoin exchange, abruptly stopped trading on Tuesday and its chief executive said the business was at "a turning point," sparking concerns about the future of the unregulated virtual currency. 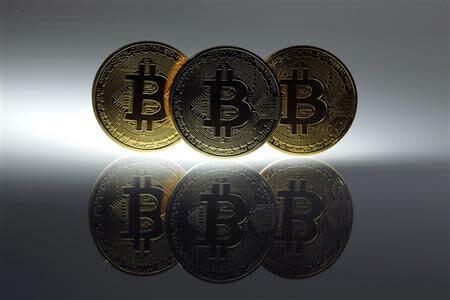 Several other digital currency exchanges and prominent early-stage investors in bitcoin responded with forceful statements in an attempt to reassure investors of both bitcoin's viability and their own security protocols. The website of Mt. Gox suddenly went dark on Tuesday with no explanation, and the company's Tokyo office was empty - the only activity was outside, where a handful of protesters said they had lost money investing in the virtual currency. Hours later, Mt. Gox CEO Mark Karpeles told Reuters in an email: "We should have an official announcement ready soon-ish. We are currently at a turning point for the business. I can't tell much more for now as this also involves other parties." He did not elaborate on the details or give his location. Benjamin M. Lawsky, Superintendent of Financial Services for the State of New York, said in a statement, that while all of the facts surrounding Mt. Gox are "not yet clear, these developments underscore that smart, tailored regulation could play an important role in protecting consumers and the security of the money that they entrust to virtual currency firms." Mt. Gox halted withdrawals earlier this month after it said it detected "unusual activity on its bitcoin wallets and performed investigations during the past weeks." The move pushed bitcoin prices down to their lowest level in nearly two months. "Mt. Gox is one of several exchanges, and their exit, while unfortunate, opens a door of opportunity," The Bitcoin Foundation, the digital currency's trade group, said in a statement. "This incident demonstrates the need for responsible individuals and members of the bitcoin community to lead in providing reliable services." United Kingdom-based Bitstamp, the second-largest bitcoin exchange by volume, said on its website that it had done an audit of its systems and that it was not subject to the same kind of "malleability" that "was apparently exploited at Mt. Gox." Similarly, BTC-E, another exchange, assured investors that it has "no vulnerabilities during client transactions." On Sunday Karpeles resigned from the Foundation's board. Venture capitalists, many of whom have invested in bitcoin and related services, jumped to bitcoin's defense. Fred Wilson, a partner at Union Square Ventures and a backer of Coinbase, which allows consumers to easily buy and sell bitcoins with wallets directly connected to their bank accounts, wrote in a blog post that part of the maturation of a sector "will inevitably be failures, crashes, and other messes." "The wonderful thing about a globally distributed financial network is that if one of the nodes goes down, it doesn't take the system down," he wrote, adding that he had bought some bitcoin on Tuesday. "I always feel good buying when there is blood in the streets in any market." In Boston, Kyle Powers and Chris Yim, co-founders of Liberty Teller, a company that operates a bitcoin automated teller machine, answered customers' questions at their kiosk in South Station Tuesday. 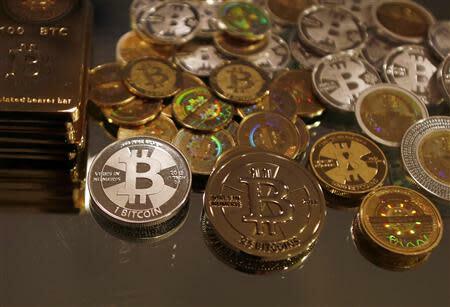 Yim said he expects a price dip in bitcoin, but no long-term problems with the currency. Democratic Senator Tom Carper of Delaware, who chairs the Homeland Security and Governmental Affairs Committee, said in a statement that Mt. Gox "is a reminder of the damage potentially ill equipped and unregulated financial actors can wreak on unsuspecting consumers. U.S. policymakers and regulators can and should learn from this incident to protect consumers." Karpeles himself, while insisting on his own exchange's reliability, has made no secret that bitcoin is, as he told Reuters last April, a "high-risk investment."